Hurley Internet offers an array of web hosting solutions powered by our state of the art UK servers and technology. We support both Linux and Windows platforms and we have a great deal of low cost, yet highly reliable and fast WordPress web hosting plans to suit your needs. We offer four great WordPress web hosting plans for your WordPress website, all provide everything you need to get your blog or CMS site up and running. All WordPress web hosting packages come with our quick 1 click WordPress install service so you don’t have to go through the installation process yourself. There are many open-source blogging platforms available, but WordPress has now become the world leader and most widely used blogging platform worldwide. WordPress is free open-source software which Hurley Internet now fully supports on all shared web hosting plans. WordPress is a truly tested publishing platform which allows the user to focus design, aesthetics, usability. By using the WordPress platform you can easily create a great web site, whether you require a simple blog or want to build a complex CMS web site. WordPress is easy to get to grips with and can be used by anyone with limited technical and coding expertise. There are also thousands of free WordPress templates available on the internet, so you don’t even need to be a web designer to create a professional and functional web site, checkout these wordpress themes. WordPress is a free piece of software, it’s quick and easy to learn, and comes free with all Hurley Internet web hosting plans. With Hurley Internet you can have your own WordPress blog or website up and running in minutes, we have now made it even easier for our customers by adding our WordPress 1 Click Installation service on all of our WordPress Web Hosting Plans! Which hosting plan do need for my WordPress website? The Home Plan is designed specifically for WordPress and Blogging in mind, this web hosting plan comes with everything you need to create a great WordPress web site. If you’re not sure how much web space and bandwidth your site will require, just sign up for our Home plan, and you can easily upgrade at any time to a larger hosting plan. Hurley Internet offers a 30 day money back guarantee on all Web Hosting plans, so you really have nothing to lose! If you wish to use WordPress for a very simple Blog or Website our Starter Plan is a great package to start with, again you can easily upgrade at any time. For beginners WordPress is also a great content management system (CMS). WordPress is now widely known as a blogging platform, and many people believe it cannot be used a CMS. WordPress has seen unprecedented grown over the past few years, that now thousands of people are using it to create simple blogs, professional content management websites, and even online stores! We highly recommend using WordPress for your website or blog if you are a beginner or have limited expertise. WordPress has a massive community of developers and users which are always happy to help you out, so checkout their official website if you need some technical advise or you just want to learn more about this great versatile software. 400mb Mailboxes as standard, upgrade 2gb blocks of space anytime. Webmail also available so you can access emails anywhere in the world. Our Pro Plan is an excellent choice for small to large e-commerce stores built with WordPress and WooCommerce or JigoShop. You can now manage your email and web hosting on the move with our easy-to-use iPhone Application. Using the latest Intel and Dell technology, our servers provide unparalleled performance and reliability. Our WordPress Hosting comes with lot’s of the latest open source CGI scripts, to help you get more out of the web. 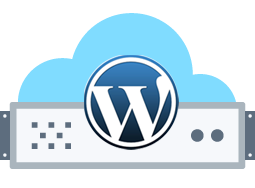 Our Web Hosting comes with an easy WordPress 1 click installer, enabling you to install WordPress in a couple of clicks, straight from your control panel.